Those stinky ginkgo trees drop their fruit each fall, but the District's program to mitigate the amount of fruit found on sidewalks starts May 2. 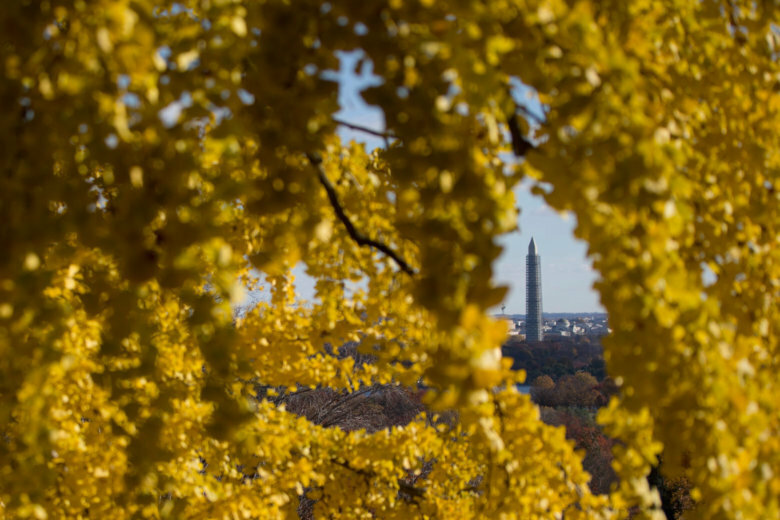 WASHINGTON — The D.C. Department of Transportation starts its annual spraying of female ginkgo trees on Wednesday in an effort to keep the city smelling fresh later this year. The fruit of the ginkgo tree falls each year in the fall, usually in October. Many people cannot stand the smell. The spraying, which will be conducted from 9 p.m. to 6 a.m., will start in Ward 5 and go to wards 4,3,1,2,6,7 and 8 in that order. The District uses a pesticide called Shield-3EC 24(C) to prevent the fruit from growing. Residents do not have to move their cars. However, there is a plan in place if residents would like the district to remove their trees. The D.C. Urban Forestry Division allows property owners to draft a petition asking for trees to be removed on their block. If 60 percent of the homeowners on the block agree that the tree should be removed, the tree will be considered for removal by both the ward’s D.C Council member and the Advisory Neighborhood Commission. See the District’s policy at the Department of Transportation’s website.